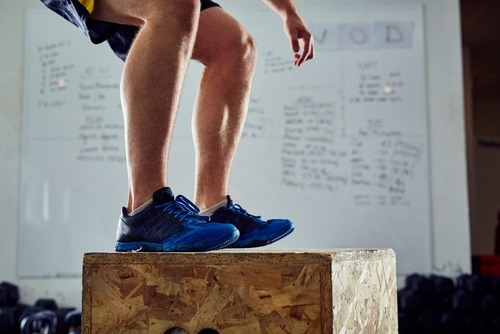 Is Plyometrics Right for You? Who Can Really Benefit from This Type of Exercise? Plyometrics is a term you have probably seen thrown around on fitness forms or maybe from someone looking for a new training program at the gym. This type of training commonly referred to as jump training is pretty much exactly as it sounds, and is simple enough. Many people are probably asking themselves if jumping can really help them when it comes to their fitness goals, or if it just is a waste of time and nothing more than another fad. Well, believe it or not plyometrics can make a huge difference in your performance however it is not for everyone. Who Is Plyometrics Best Suited For? 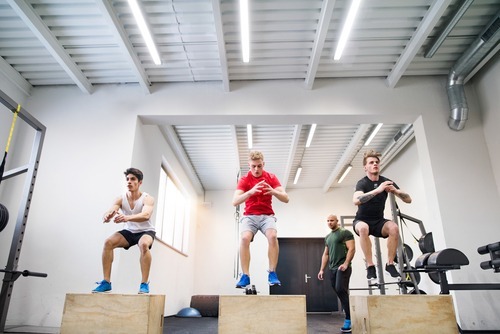 The first thing we need to realize when it comes to plyometrics is that although it may seem like child’s play, there is a relatively large chance that you could hurt yourself. With that being said you have to be careful in doing so, and also have to have some sort of coordination to do so. This means that if you are new to exercise, weight lifting or athletics in general, you shouldn’t start off with plyometrics. Plyometrics requires a lot of core strength and muscle control which you won’t have if you are new to working out. These muscles, typically referred to as “stabilizing muscles” aren’t going to get too much work from every day activity especially if you are sedentary. You don’t want to start off with plyometrics because these muscles aren’t developed, and thus you increase you chance of injuring yourself. If you fall in to this category, before starting plyometrics you are going to want to develop those secondary stabilizing muscles. A great way to do so while greatly limiting your risk of injury is to do yoga. The poses done in yoga will not only help you to develop these muscles but will make you more flexible in the process, further reducing your chance of injury. Another way to work your way up to plyometrics is to do calisthenics, which are gymnastic exercises designed to improve fitness, balance and flexibility. Many of these exercises can be done using only your bodyweight, making them great for beginners. 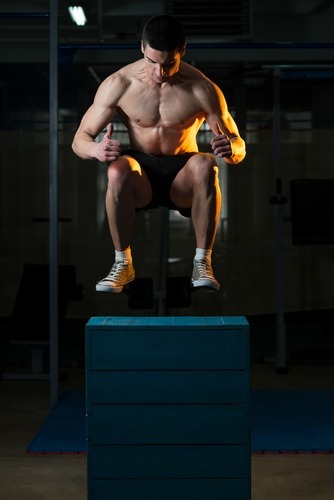 Why Should You Do Plyometrics? With all of that being said and the potential risks involved, why would anyone want to take the risk in doing so? This is because plyometics can benefit you greatly, and that goes for everyone spanning from your everyday athlete all the way up to the professional level. One of the things we really lack as we age is agility, and while our agility does decline as we age, most of this is caused by inactivity. Even if we regularly exercise chances are that we aren’t training for agility unless we are a professional athlete. Many people think of agility as being able to move quickly laterally, or do be able to just out maneuver an opponent, but agility has real life practicality as well. Just think of all of the times that you have seen someone trip and fall while walking, or have done so yourself. How about being able to bend over without losing your balance? Improving our agility can really help us in our everyday life as well, making plyometics beneficial in that respect. Plyometrics are great for cardiovascular benefits as well. They are great tools to use to supplement your workout if you weight train during the down time. This keeps your heart rate elevated instead of taking periods of rest, meaning you get the benefits of cardiovascular exercise and weight training in one session. The whole idea here is to improve your functionality, so you want to be doing a variation of exercises which together work the entire body. Some good examples of this are box jumps, lateral lunges, jumping jacks, and burpees to name a few. To get the most out of your plyometrics exercise, you should be doing the exercises in timed intervals, like 2 minutes of exercise followed by 30 seconds of rest. Keep in mind here that the goal is to improve how we function so technique is key. Make sure you warm up properly beforehand as well by adequately stretching and getting enough rest in between exercises. If done properly you should see an improvement your performance in just a few weeks.